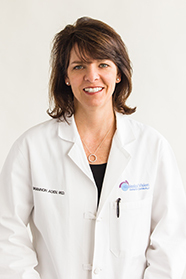 Dr. L. Brannon Aden is a board-certified ophthalmologist by the American Academy of Ophthalmology. Dr. Aden received her undergraduate degree from Washington and Lee University in Lexington, Virginia in 1992. She attended the Tulane University School of Medicine and received her medical degree in 1996. She then completed a combined medicine and surgery internship at Charity Hospital in New Orleans before completing her Ophthalmology residency, also at Tulane/Charity Hospital, in June 2000. Dr. Aden studied LASIK surgery under Miles Friedlander, MD at Tulane and subsequently received LASIK certification under Stephen Slade, MD in San Francisco, CA, in August 2000. Dr. Aden is a member of the American Academy of Ophthalmology, the Mississippi State Medical Association, the Jackson Ophthalmological Society, and the American Society of Cataract and Refractive Surgeons. Dr. Aden has given numerous lectures in numerous cities in the United States and Canada on the subjects of advanced cataract surgery techniques as well as on the use of advanced technology intraocular lenses. Most recently, Dr. Aden performed the first LenSx Laser Cataract Surgery in Mississippi and is excited about the impressive results that this new technology is providing to her patients. Click here to view a PDF containing Dr. Aden’s previous publications and public presentations.